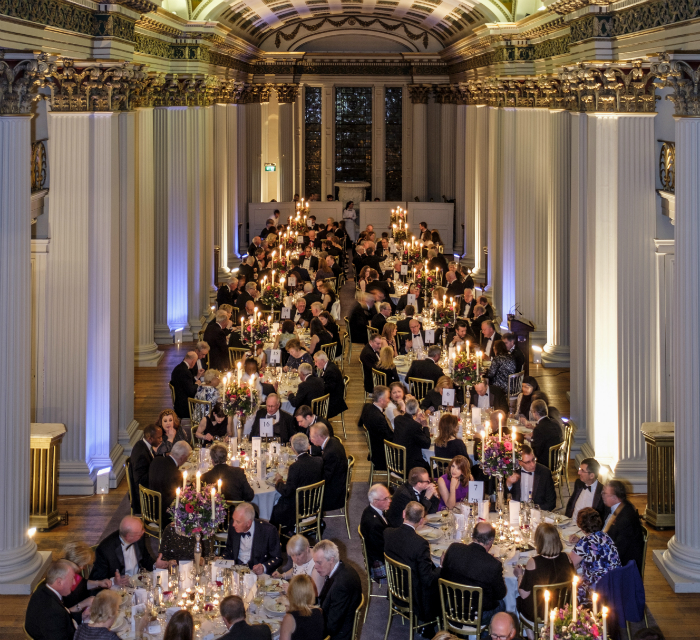 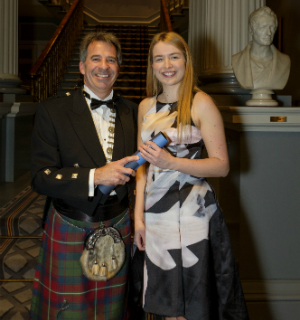 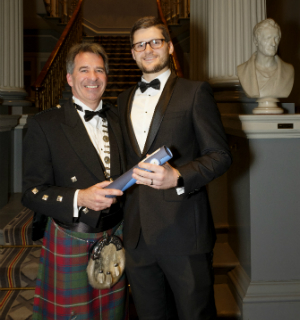 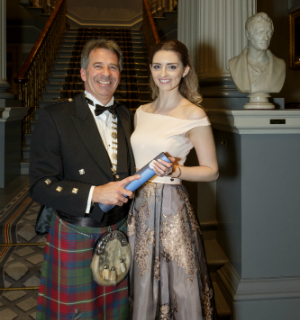 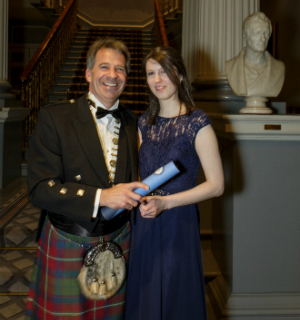 ICAS hosted the 2017 President’s Dinner at the Signet Library in Edinburgh, celebrating the work of outgoing ICAS President, Ken McHattie. 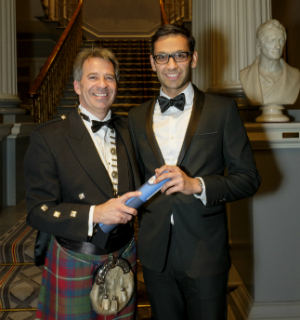 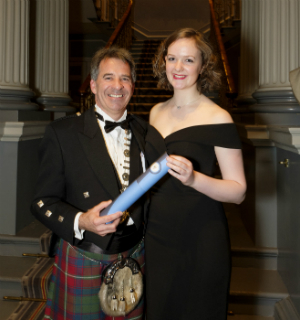 "I am especially pleased to see so many people who have been such good friends and colleagues during my career and those who have helped to ensure that my year as President has run smoothly and been so enjoyable," said Ken. 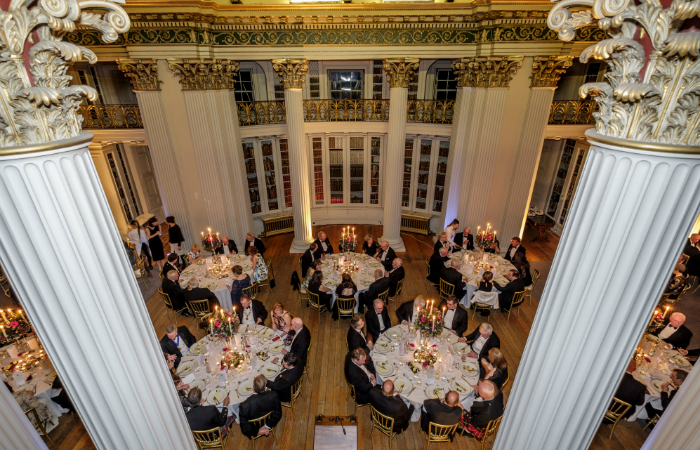 All photos were taken by Mike Wilkinson Photography (http://www.mike-wilkinson.com). 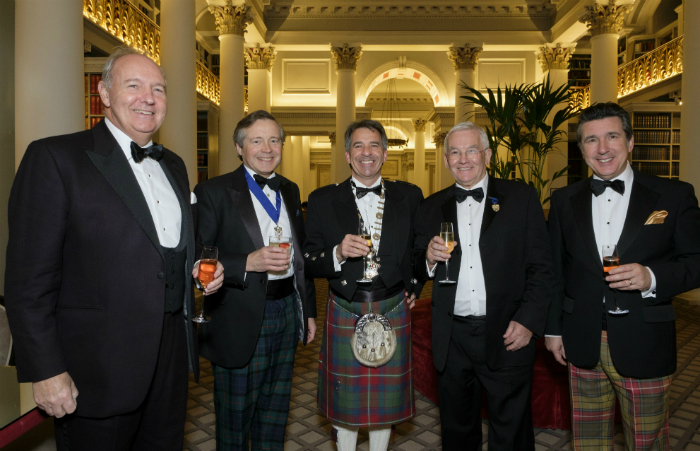 Left to right: Mike McKeon (Vice-President Elect), Sandy Manson (Vice-President), Ken McHattie (ICAS President), Alan Thomson (past President) and Anton Colella (Chief Executive of ICAS). 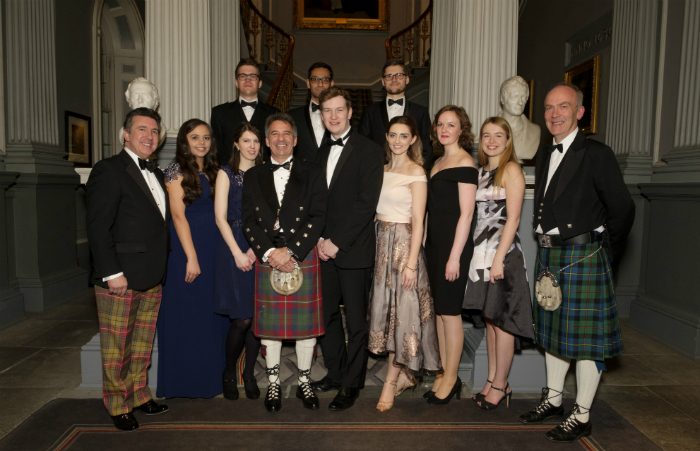 The TPS and TPE prize winners with Anton Colella, Ken McHattie, and Professor Mark Allison (Executive Director of Education). 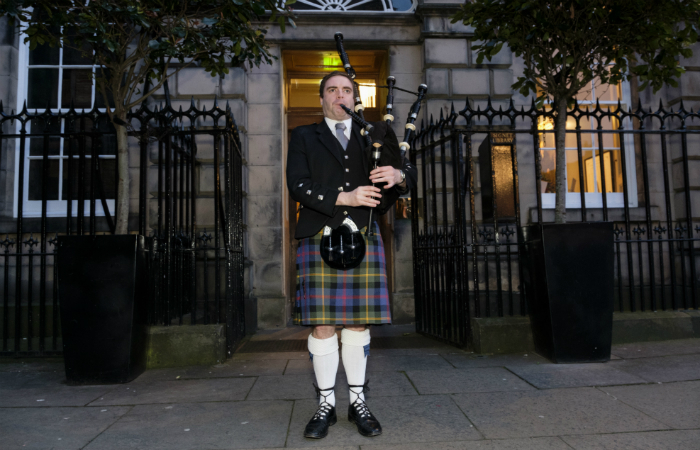 Bagpiper Michael Knott welcomes guests to the President’s Dinner. 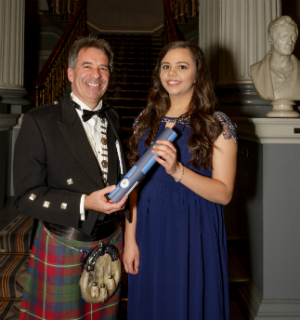 The TPS and TPE prize winners were presented with their prize by Ken McHattie at the President's Dinner and congratulated on their hard work and success.